Working with students, you realize that most of our experience is on the well-worn paths of our habits. Students constantly present you with new ideas that push you to explore new areas and become a student again yourself. I worked on this site with two students. Dean Kuehn helped with the mockups and Katharine Smith helped with the coding. We analyzed their existing site, met with the client, submitted mockups and developed the site. The client opted not to use the site because they changed their framework requirements. The site needed a modern clean look. We made a 3D version of their logo and used eye catching photos in a slider. 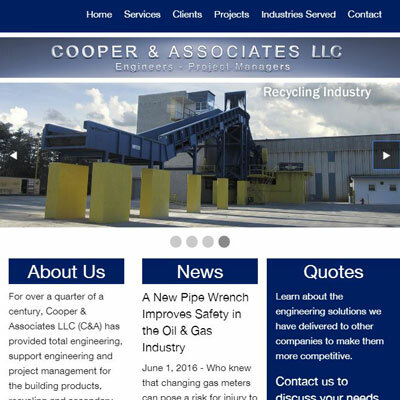 We also used a simple color scheme to keep the site looking clean and professional. We decided to use Foundation as a framework. 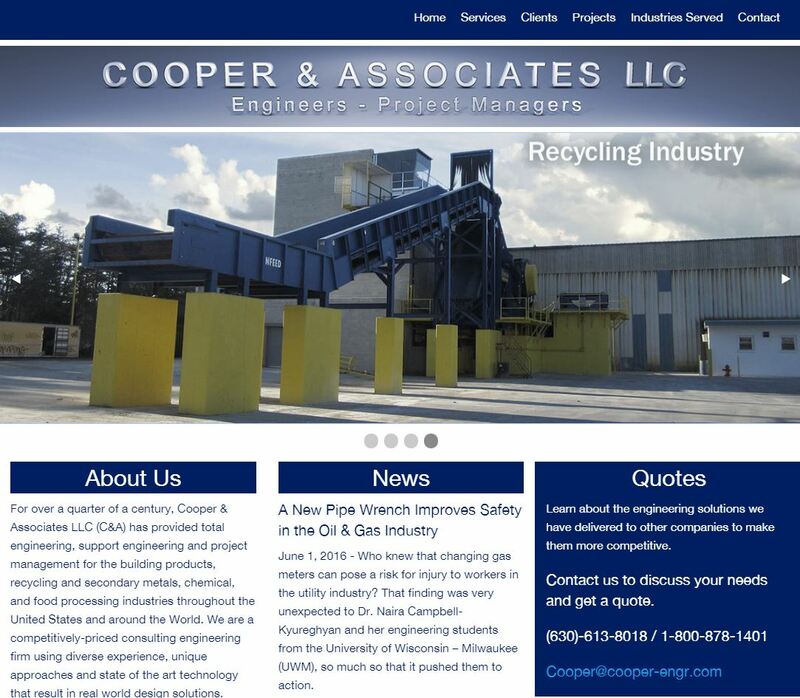 This gave us enough flexibility to deal with Cooper’s unique needs but streamline the development of a responsive site. 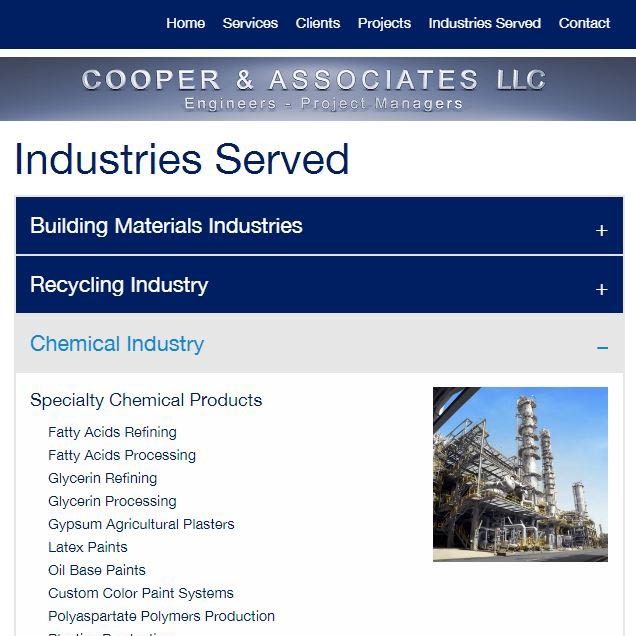 During our analysis and interview we noted that cooper serves many industries. These industries each want to see a lot of detail to show Cooper’s expertise in their field. 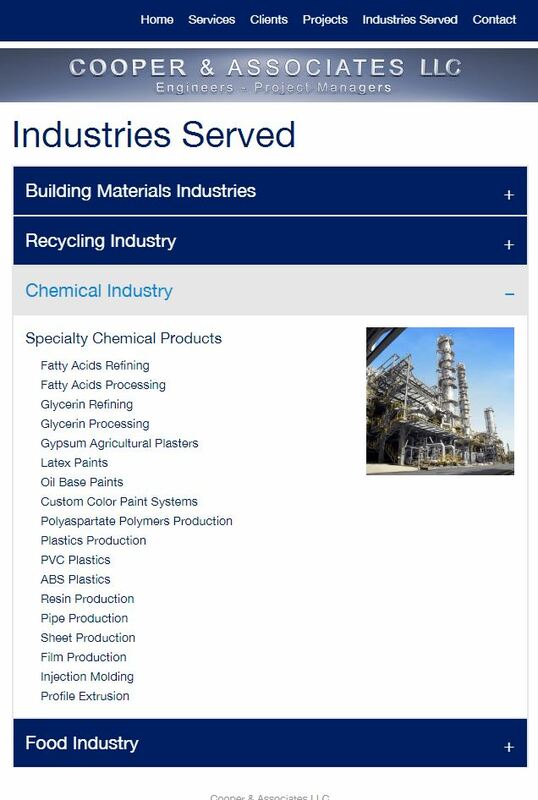 However the details from one industry were completely irrelevant to another industry. So the challenge was to allow the visitor to navigate quickly to the info they were interested without having to wade through all the clutter of other industries. We accomplished this using accordion menus.